Only 7km from the Bologna airport G. Marconi, in a city well-known for its wine and food culture, this centre is set within a modern and prestigious building in the heart of Casalecchio di Reno. This location is ideal for businesses with both domestic and international contacts. The building is accessible 24/7 and is fitted with telecoms for efficient communication throughout the building. Within the immediate area, you can find a shopping centre which houses many retail stores, restaurants and a cinema. 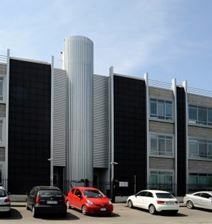 Located in the lovely city of Bologna, this serviced office is close to air, train and road connections, and has ample parking. The centre offers space to suit a variety of businesses, and a full complement of amenities is available to help your business run smoothly. As a turnkey solution, it comes with a great working environment that is sure to enhance your focus and productivity- plus parking space is always available and free of charge! These fully furnished office spaces are situated within a bright, spacious office on the sixth floor of a modern office building. Here, it is possible to take advantage of an array of useful amenities including; spacious meeting rooms, high-speed internet connection, kitchen and lounge areas. Additionally, there is a friendly on-site admin team who are available to assist with any queries that may arise, as well as taking care of telephone answering and mail handling. The centre is perfectly situated within the heart of Bologna and is surrounded by a wide range of bars, shops, cafes and other local amenities. The location is ideal for travelling clients and employees, within reach of a multitude of hotels. Just outside Bologna city centre and the historic heart of the city, this business centre is only 10 minutes from Bologna Airport and very close to Central Station making it a convenient destination for both domestic and international travel. The co-working and executive office space is fully furnished and serviced. There are also conference facilities to use at your disposal, in addition to videoconferencing and training facilities on-site. This highly cultured city also has several performing arts theatres and cinemas within 10 minutes of the space.